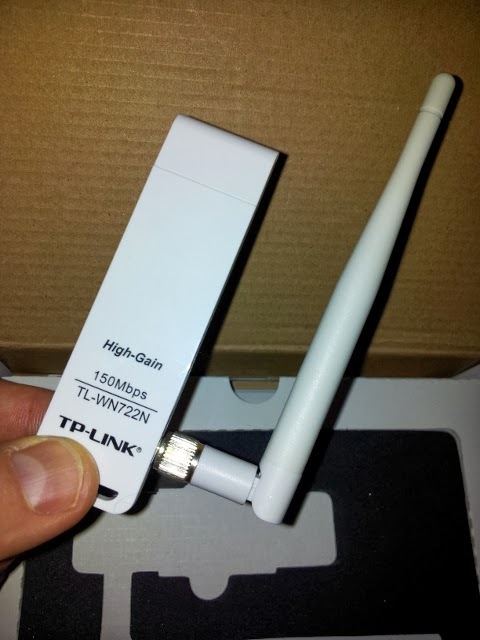 Yesterday a friend from work lent me his TP-Link TL-WN722N USB wireless adapter to try out. I plugged it into a machine running Linux Mint 15 (Cinnamon) 64-bit. At first everything seemed fine: it connected to the router flawlessly, and started getting data as fast as the internet could provide it. Then I moved the machine into another room, to see how it would go through walls. It was about 8 metres away, going through two brick walls. It could no longer connect. I gradually moved the machine closer, but found that I had to be in direct sight of the router and less than 1 metre away before it would connect up. I can't imagine this is normal, and must be a fault with the hardware. Bit unfortunate! If you've got one of these and get similar symptoms, I'd be returning it straight away.